1. 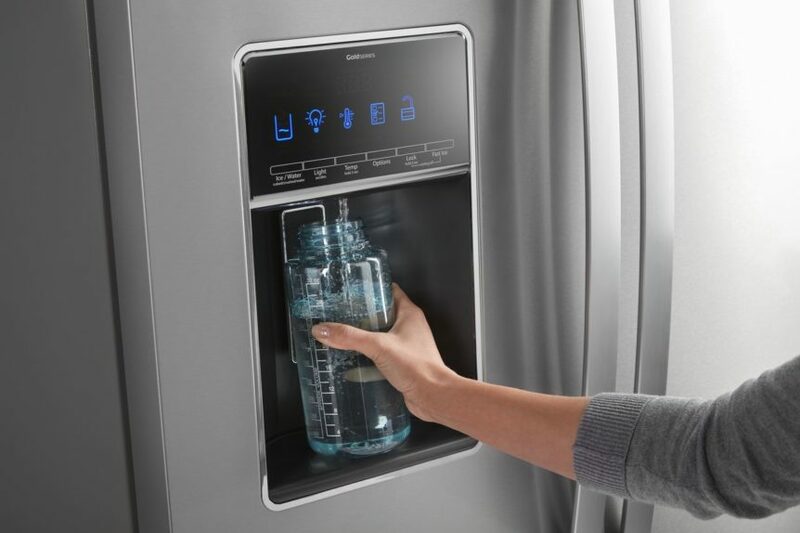 Unplug the refrigerator and shut off the water supply. 2. Remove the rear access panel. 3. Uninstall the inlet valve. Locate the inlet valve mounting bracket on the right side of the appliance. Carefully pull the water line free of the retaining clip at the bottom of the refrigerator, and then pull the inlet valve slightly out of the appliance without tugging on any of the water lines. Next, disconnect the wire harness from the part’s solenoids. The next step is to remove the three water supply tubes. But the orientation of the lines matters when it comes time to install the new part. If the lines aren’t labeled, take a picture of the part so you have a guide for reassembly. Then detach each of the three water lines. You may need pliers if the lines have become too snug. 4. Install and secure the new part. Put the water lines into the ports of the new part. Use your picture or your memory as a guide to ensure the orientation is correct. Next, attach the wire harnesses to the solenoids on the back of the new inlet valve. Then position the part’s mounting bracket against the refrigerator edge. Screw the bracket tightly into position. Make sure the water lines are not pinched or tugging against adjacent parts. First, slide the main water supply line into the retaining clip at the bottom of the refrigerator. Slide the rear access panel into position. Then tighten the screws around the edge of the cover. Next, move the water supply line into position and secure it with the screws. Move the appliance back against the wall. Then turn on the water supply and plug it back in. Go to Jerry’s Appliance Repair for more appliance repair tips and procedures.